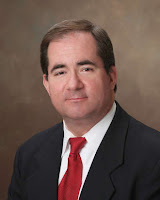 Today we have Vincent O'Neil, a mystery writer who sets his books in my native Florida. He's here to share with us how he improved his writing by researching his new book (and series), Death Troupe. Vincent won the St. Martin's Press Malice Domestic writing competition in 2005. St. Martin's Press published the winning entry, MURDER IN EXILE, in 2006; the sequel, REDUCED CIRCUMSTANCES, in 2007; and the third book in the Frank Cole/Exile series, EXILE TRUST, in June of 2008. The fourth book in the series, CONTEST OF WILLS, was released in September 2010. His latest book, DEATH TROUPE, begins a theater-themed series featuring the playwright Jack GlynnHis novels include The Frank Cole Mysteries, Contest of Wills, Reduced Circumstances, Exile of Trust, and the award-winning Murder in Exile. Two years ago I caught the theater bug. Not the acting bug or the directing bug, but the desire to write a murder mystery using the stage as a vehicle. I’d already published several books in the Frank Cole series (which continues to this day) but I wanted to see if I could build a theater-themed mystery around a playwright main character. The Jerome Barron Players have a problem. Known as Death Troupe, once a year they perform a high-end murder mystery play written for that season's host town. Unfortunately, their playwright has just killed himself. Enter Jack Glynn, Death Troupe's original playwright before his now-deceased writing partner stole his lead-actress girlfriend. Traveling to the snow-covered town of Schuyler Mills, Jack soon learns that his former friend's suicide may have been caused by a shadowy Death Troupe stalker . . . and that he might have just been cast as the phantom's new target. That all sounds like a nice, multi-layered murder mystery novel, but there was one problem: I knew next to nothing about theater. So of course I started with the most basic research. I got The Complete Idiot’s Guide to Amateur Theatricals and found it to be an extraordinary help. I slowly progressed through similar books, finally graduating months later to the memoirs of noted Broadway directors. I claim no special understanding of theater, but I do know this: Studying this topic took my writing to a whole new level—and it was fun, too. That shouldn’t be surprising, as there are many similarities and crossovers between the theater and novels. Writers try to understand their characters’ motivations in much the same way that actors do, and novelists try to build their storylines in much the same way that directors do. What people wear says a lot about them. It can tell you what they do for a living, where they’re planning to go that evening, and even if they pay attention to the way they present themselves in public. No surprises there, right? While researching the stage, I read about the different ways that costuming and color can set one player off from the rest. This suggested a technique for helping my readers tell Death Troupe’s many characters apart: One resident of Schuyler Mills always wears bib overalls, and so his nickname is Bib. This technique isn’t unusual in mystery novels; many noir detectives have identified their opponents’ minions by such names as ‘Spats’, ‘Bowtie’, ‘Pea-coat’, or some other item of clothing. This can be particularly helpful when the character is a minor one, or someone who appears so seldom that the readers might not recognize his or her name later in the book. Wardrobe can just as easily conceal as distinguish, and many costume designers have artfully hidden key players on stage by dressing them like the actors around them. I took this technique to heart while writing Death Troupe, and it paid off nicely. Although Death Troupe ends in a breathtaking Adirondack spring, much of it takes place in the dead of winter. By considering what people might be wearing in those conditions, I realized that the phantom stalking Jack Glynn could move about quite freely—and anonymously—if bundled up against the elements. Of course there were other revelations involving costumes, but the point is this: The story itself can be helped by an exploration of wardrobe that goes just a little beyond the simple description of what people are wearing. On the stage, performers have a limited amount of time and a restricted space in which to communicate their character’s personality and intentions to the audience. Obviously their words play a big part in that communication, but stage actors also use body language to reinforce (or contradict) their words. For example, someone telling a lie might look away from the individual to whom they were speaking, and even toy with some nearby article in an attempt to conceal their discomfort. This can certainly be overdone in a novel, but it doesn’t hurt to play around with the mannerisms and actions of your characters even as they speak. Where they direct their eyes, what they do with their hands, and even if they suddenly get up and walk around can convey strong emotions and reinforce (or call into question) what they’re saying. Every story (and, ideally, just about every chapter, segment, scene, or paragraph) has a beginning, a middle, and an end. Again, no surprise there. However, the way that playwrights and directors end those separate acts on stage is a good deal different from they way writers end them in books. After all, in the theater each act usually ends with a descending curtain and perhaps even an intermission. The curtain’s fall could be preceded by just about anything, from a shocking revelation to the introduction of a much-discussed character, but the point here is that the show actually stops just after that, while in a book we merely turn a page. That’s why, in writing Death Troupe, I ended each of the three parts (I didn’t have the temerity to call them acts) with the words, “End of Part X”. I took those lines out later, but during the writing they helped me remember that I’d just arrived at a descending curtain and should take special care in reviewing how I concluded that act. As a result, Part One of Death Troupe ends on a high note even though I had intended to add one more segment after that. This required me to rewrite the beginning of Part Two, but the big moment that ends Part One is much more fitting to a curtain drop than what I originally planned. I’d like to finish this with one Broadway director’s suggestion about endings. That director believed the final curtain should drop as soon after the show’s climax as possible, and I think that advice can apply to novels as well. While it’s often necessary to spend some time tying up loose ends, there’s also a danger of using too many pages to do it. The climax is a high note, probably the highest note of the entire story, and there’s only one direction the story can go after hitting it. So consider dropping the curtain as soon after that as possible. Here’s another piece of theater advice: Always leave them wanting more. And with that, I’ll drop the curtain on this particular show. Thanks so much for having me as a guest blogger on your wonderful site, Janice! Hopefully what I wrote meshes with your take on the three-act structure when used in a novel. Thanks again. "The climax is a high note, probably the highest note of the entire story, and there’s only one direction the story can go after hitting it." That's such a cool way to think about it because it's so true. It's something I've thought about before as well. Because you come across a fair few books that hang around way too long at the end. I wonder why that is. Nice tie in between theater and writing. I'll be thinking of this post the next time I write dialogue. What would the actors be doing on stage during this scene? How much more could I show in actions than in words? Thanks for the tips. Sam and Laura: So glad you liked the blog! I learned so much about writing while researching the theater that I will no doubt go back to it for more. I liked the point about costumes being more than description, you could expand that to character appearance in general-- about the only time I enjoy character description is when it's revealing. None of those lists of skin, hair and eye colour, show me a girl twirling her hair round her finger and hunched over with the toes of her scuffed converse pointing inwards. You can insert a hair colour but already I know more about her than I do about all the blonde, blue-eyed, designer label wearing mannequins that get glossed over. I like your comment: So much more information can be conveyed by just a few gestures (or even posture) than by a list of personal characteristics. As a reader I do like to know what someone looks like, particularly if it has an impact on what that character does / can do, but I honestly don't need a lot of it. 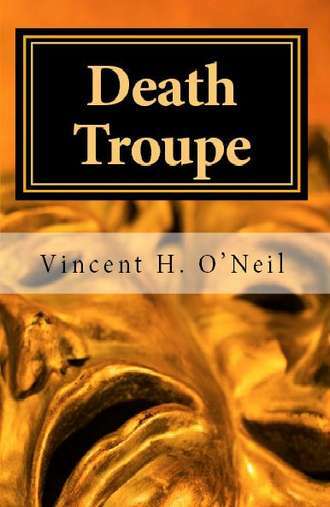 DEATH TROUPE is loaded with things of this nature, from the playwright working through various means of communicating an idea on stage to the director, actors, and designers crafting a scene. It was a lot of fun to write. I really loved the idea of thinking of your characters as actors in general, because it's good to know what everyone in the scene is feeling and thinking, even if you're never in their heads. That really helps know what to describe and how your POV will see other characters in the scene.